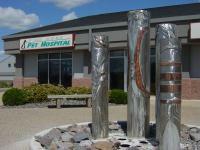 Pine Cone Pet Hospital is committed to providing high quality and personalized veterinary medical, surgical, dental and dermatologic services to Sartell, MN and the surrounding area. © Copyright 2019 Sartell Area Chamber of Commerce, Inc.. All Rights Reserved. Site provided by GrowthZone - powered by ChamberMaster software.